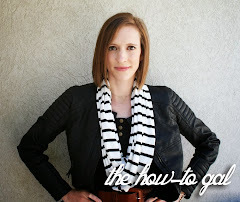 All over the blogisphere you see makeover after makeover, heck, I do it all the time! But sometimes I think there are pieces that are alright just on their own. Perhaps all they need is a little sprucing up. Complete with secret compartments, a drawer and main section, I couldn't say no to its beauty. As I drove home my mind sped through the different ways I could make it over: paint, fabric, mod podge, paint and mod podge and fabric (oh my). When I realized that she is beautiful just how she is. It was decided, no paint would touch her but she would become the newest housing facility for my overflowing earring collection. Enter my thrifty notion on inexpensive cushion inserts. Here's how I did it. First I took the measurements of the box. Best to cut once and measure twice! Covered the cardboard and batting with a piece of fabric. This particular fabric happens to be from a shirt I found at a local thrift store for $.99. Loved the pattern, not so fond of the shirt. Turned the cardboard, batting and fabric over and used my staple gun to attach it. Quick and easy. Then I inserted the cushions into my box. Voila! 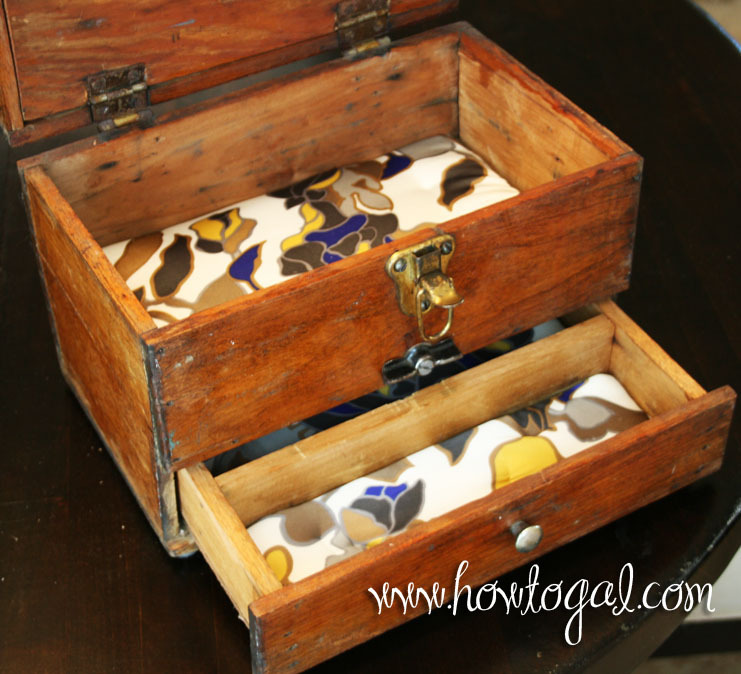 A touch of femininity to my antique wooden box. beautiful. i often think the same thing about pieces. great post. She is so lovely - I am seriously envious! !